The APS range of children’s clothing provides all of you parents and your school with an affordable solution to buying school uniforms, PE kits and children’s casual clothing. We also have a large range of baby clothes and accessories to help clothe your children in good quality clothes simpler than ever. Just as with our adults clothing and work wear items. Your child’s clothing can also be embroidered with your school logo; sports team names, personal names or other logo’s to help identify achievements. 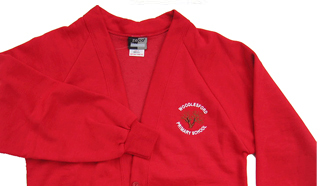 Whether you are buying in bulk for a group or educational institution or are simply an individual buying for one child you will get excellent value for across our entire range of practical and comfortable children’s clothing.